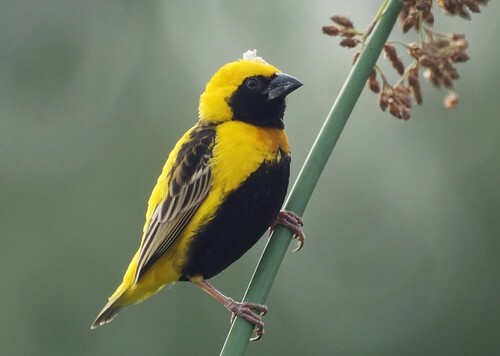 A yellow-crowned bishop was reported in Irvine the past few days. So, early Saturday morning we hit the road - added bonus is that it's cooler in OC. 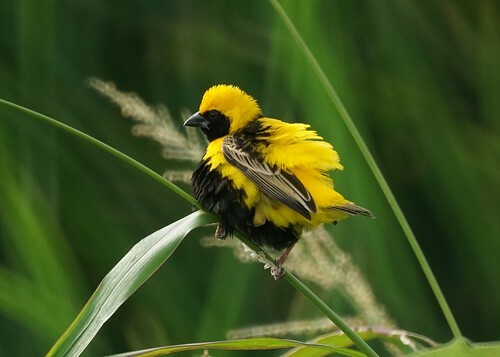 It was very cooperative returning to the same shrub and posing for photos many times.